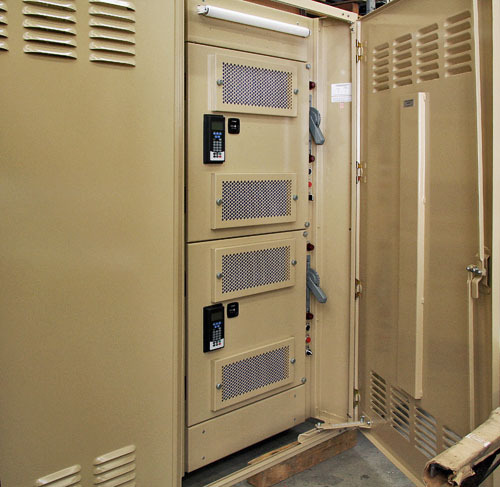 We manufacture a comprehensive line of medium and low voltage power distribution switchgear/switchboards featuring variable frequency drive and/or soft starter integration into the lineups. Conduit entrances are engineered into the gear for ease of installation. Various ancillary controls to provide integration with clients’ control infrastructures are engineered specific to each project. We can offer complete in-house engineering services as well as in-house start-up and turn-key installation using long-standing associations with contractors with unique knowledge of the applications to ensure a successful installation.